MARK YOUR CALENDARS: don’t miss our Fall kick-off tasting event featuring 5 exquisite wines from California favorite, Elyse Wineries. And take advantage of 15% off at event. Cuvée will be kicking off fall our fall tasting line-up with a customer favorite Winemaker, Elyse wines. These wine can only be described as exquisite and in a class of their own. Ray Coursen moved to Napa, California from Cape Cod with wife Nancy in 1983 to study winemaking under the elite Rutherford appellation. 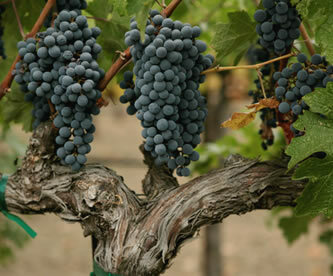 in 1987, Ray and Elyse started Elyse Winery with 286 cases of Zinfandel from the Morisoli Vineyard, which is still a cornerstone vineyard source for the winery. After a decade of nomadic winemaking at various custom crush facilities, in 1997 they purchased a small winery and vineyard on Hoffman Lane, the home of Elyse Winery and tasting room. Ray and Nancy consider themselves fortunate to work with an amazing group of growers and vineyards whose fruit takes them to wonderful places. Their minimalist winemaking approach transforms this fruit into juicy, voluptuous wines for your enjoyment.